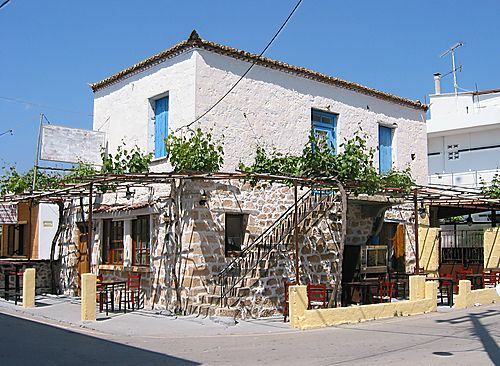 Milos is also called Megalochori and is the capital and the largest settlement of Agistri, with 560 inhabitants. 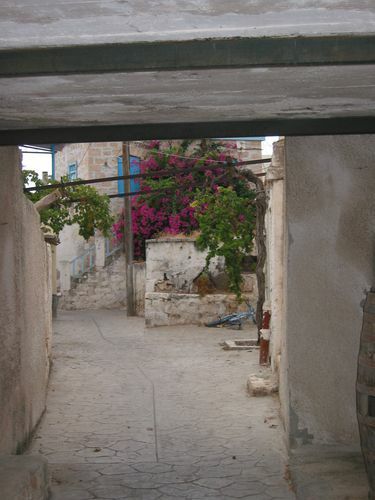 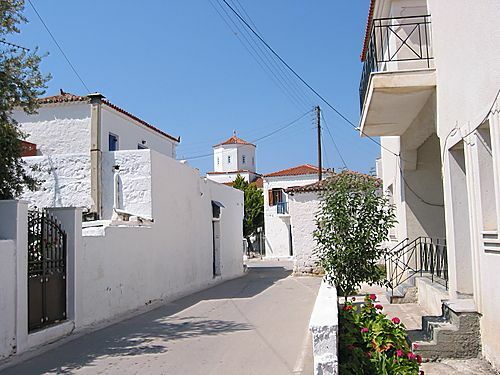 Mylos is a modest village with narrow streets and some traditional stone built houses with stone paved alleys found among its modern buildings. 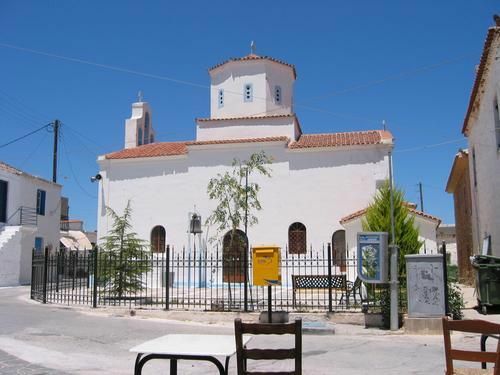 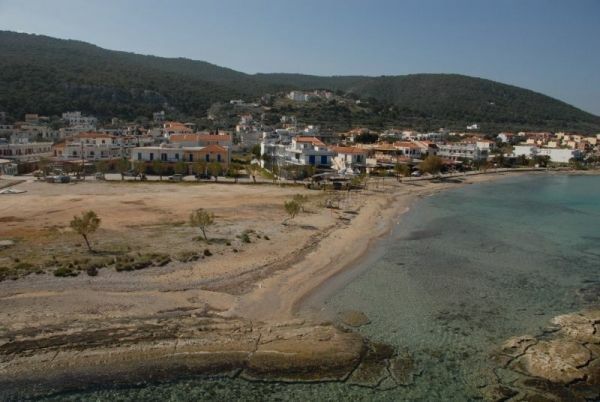 It also has an old windmill, a few tavernas and cafes and a Cultural Center which houses the archaeological findings from excavations that have taken place on the island. 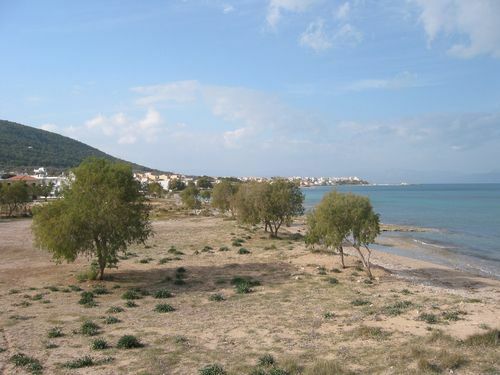 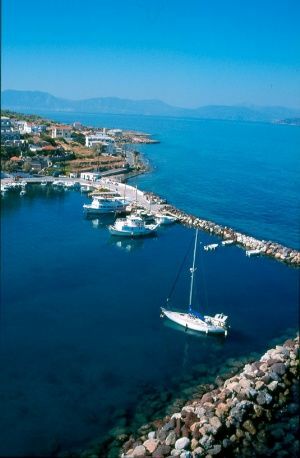 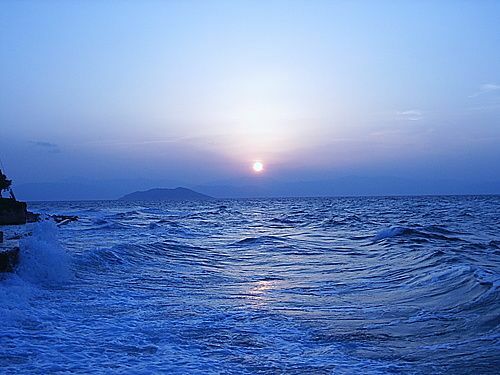 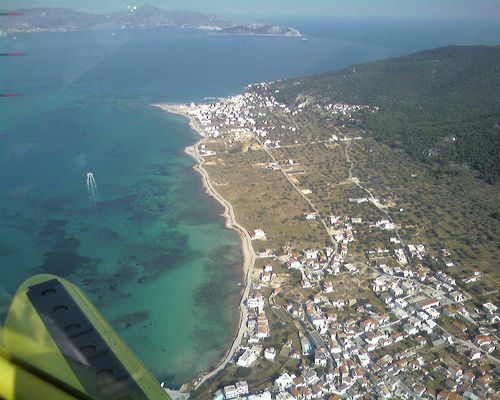 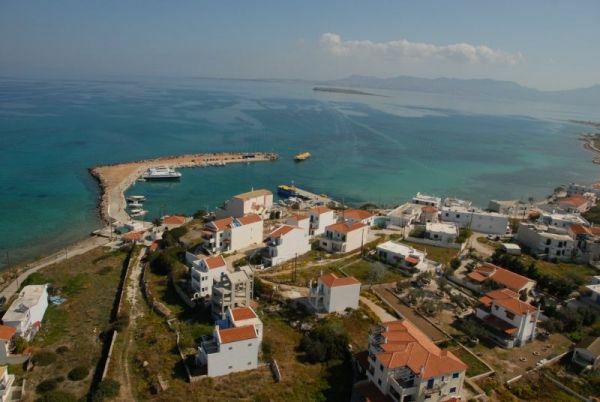 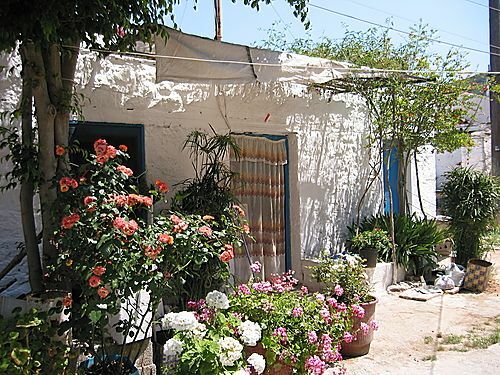 Despite being the capital of Agistri, Mylos is not developped as a tourist resort. 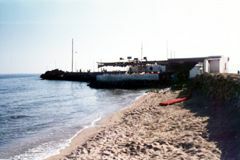 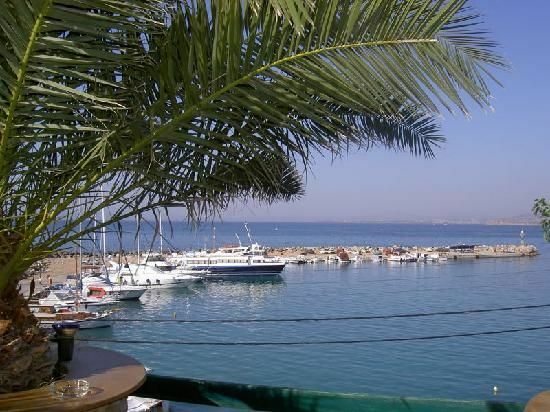 Most of the island's hotels, bars and tavernas are found in Skala (apx 2km to the west) and in the near by Skliri settlement, which are the island's tourist centers. 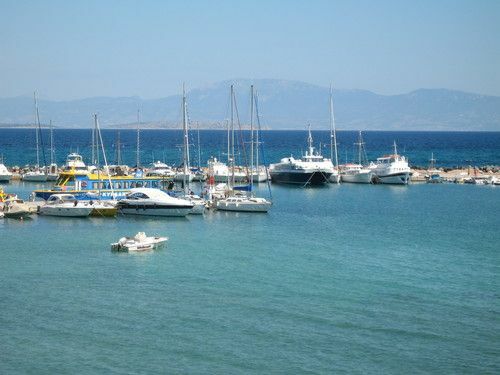 MOORING INFO: Mylos has a small marina, which is not organised but it is the only mooring place for private boats in Agistri. 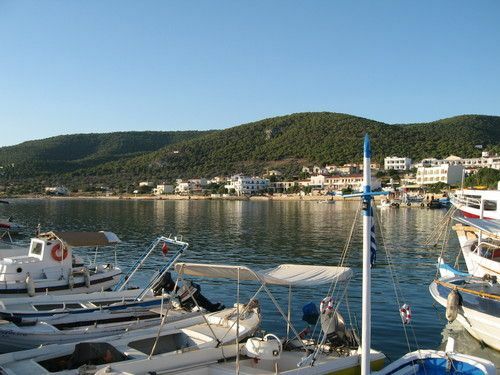 Skala (the second port of the island) is not recommended for larger boats. 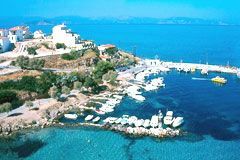 Refueling service is available in Milos, which is also the docking area for the Flying Dolphings coming from Piraeus. 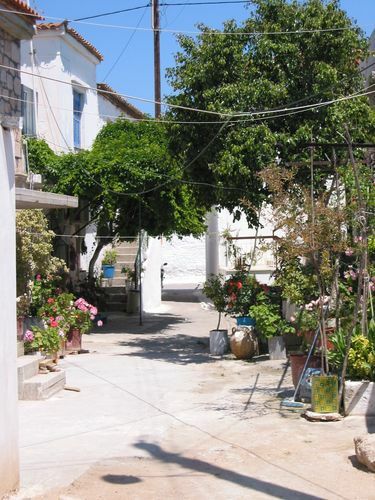 Finding a place to moor in Milos may be difficult in peak days. 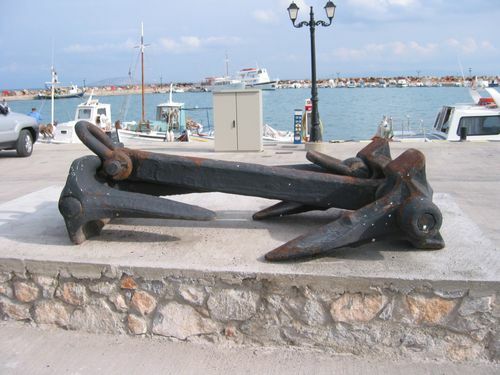 WARNINGS - HAZZARDS: There are chains from permanent moorings found in the sea bottom, in the middle of the harbour. 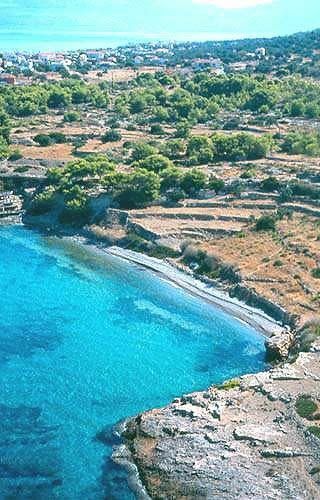 BEACHES: The area around Milos has natural bays that create nice sandy and peebly beaches. 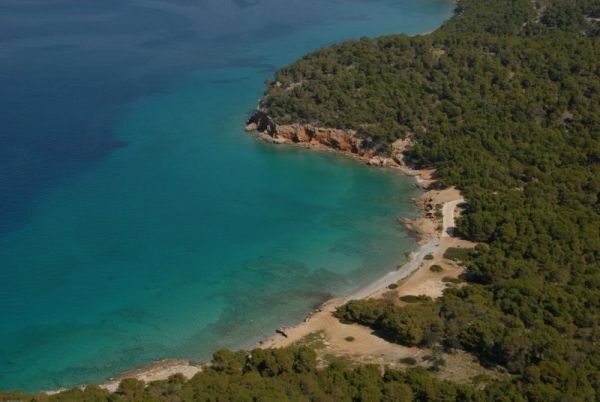 Most of them have exotic transparent emerald waters, as most beaches in Agistri. 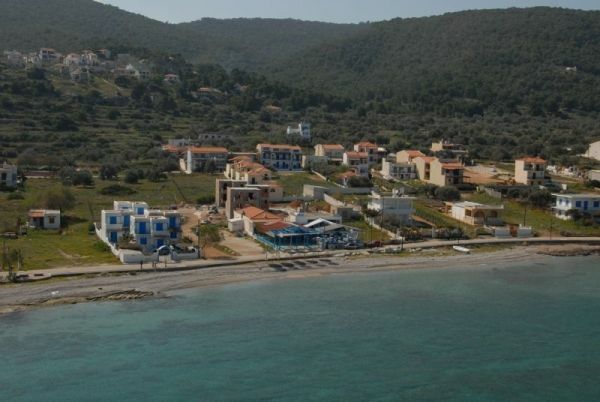 However the landscape is "flat" and the newly built buildings all around are not very attractive. 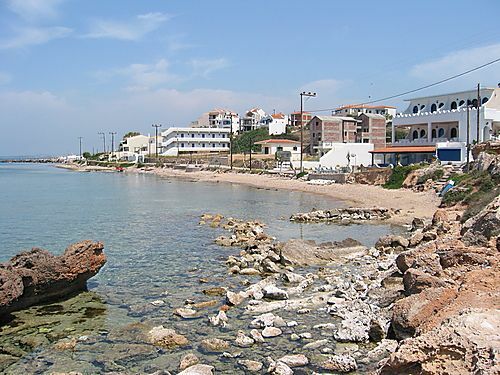 Some of these beaches are organised with umbrellas and sunbeds and most of them are located in front of tavernas or hotels. 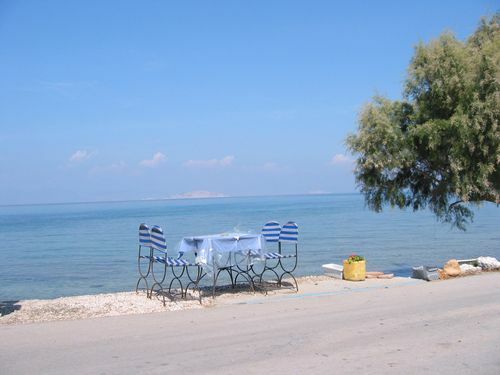 The sea shore which is parallel to coastal road from Skala to Milos is the first option for swimming in the area. 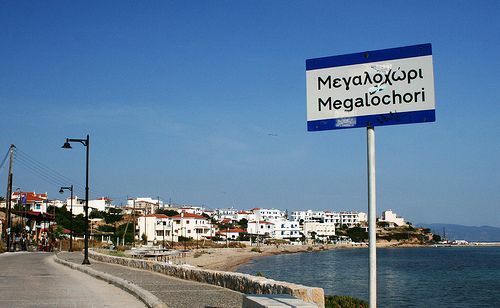 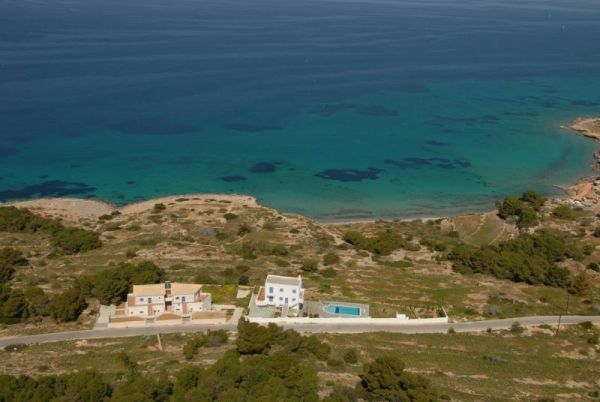 The other option is Xekofti, Karnagio and Drassezes beaches which are found next to Milos (Megalochori) on the road to Dragonera. 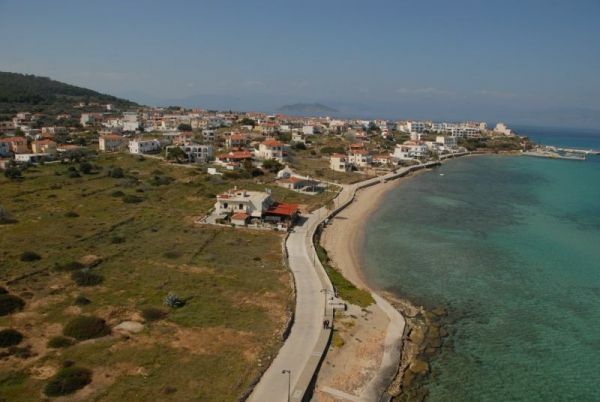 This road offers splendid views of Aegina and Peloponese.